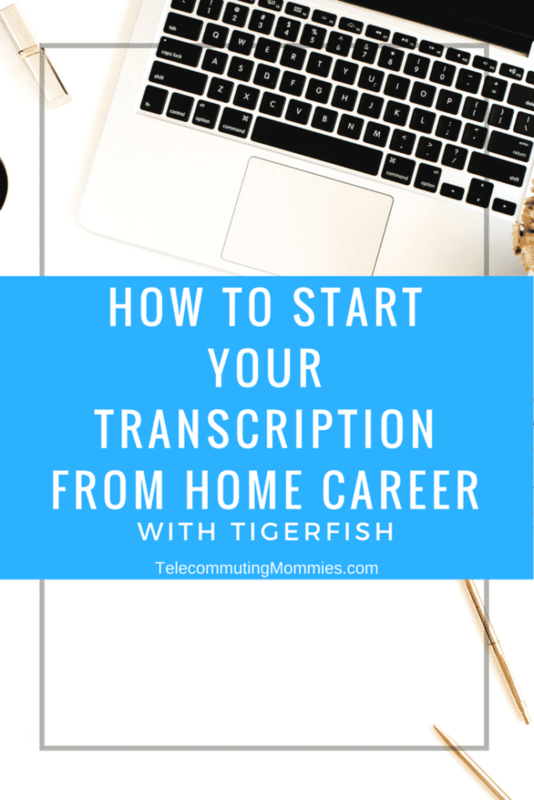 Transcription from home with Tigerfish offers a chance to earn a good income from home as well as a very flexible work at home career. Transcription work from home jobs are one of the most sought after types of jobs from home because if you are a fast typist you can make more money than many of the traditional telecommuting positions. Have you ever though that a transcription career from home would be a good fit for you? I know I get a lot of emails regarding training programs to become a transcriber. Many of the companies that hire for these positions only hire transcribers that have experience so applicants must either have worked for a previous transcription company or completed some type of training program. Fortunately, there are a few companies left that do not necessarily require previous experience and Tigerfish is one of them. These positions do fill up fast so if you are interested read on to find out more about working for this company and how to apply. If you have already tried applying with them and have not heard back you can also check our list of 50+ General Transcription Jobs You Can Do From Home. Tigerfish is a transcription company that has been around since 1989 so you know it is a legitimate and reliable company. Based in San Francisco and New York, this company started as a one man show and is now well known for their high quality transcription services. What exactly is transcription? Transcribers take audio files and translate them into written form. This could be anything from voicemails, meeting notes, court hearings, doctors notes, focus groups, and conference calls. What exactly is it like to do transcription from home for Tigerfish? Working for Tigerfish offers a flexible job that is a great fit for stay at home moms. You can generate substantial income if you are a fast typist and can become a high quality contractor doing transcription from home. How do I get hired to do transcription from home? Many transcription companies receive a lot of applications for these work at home positions especially if they are one of the few that hire inexperienced transcribers. In order to get hired with Tigerfish you can start the application process but do not be surprised if it takes a couple months to hear back from them. Your first step int he process of getting hired to do transcription from home is to review their style guide. You can then visit their transcription jobs page to download an audio file of their test and save it to your computer. You will then download a free copy of the Express Scribe software. Follow the directions on the transcriptions jobs page as to how to transcribe the samples and email them in the required format. Remember that if transcription is not a good fit for you and you are not a fast enough typist to get transcription tasks done in a certain amount of time then it is probably better to find other work at home companies that would be a better fit for you. Because transcription usually pays per minute transcribed so if it something you think you can pick up quickly and get fast at then you can make a generous hourly wage. On the other hand, if you are very slow at it then it may not be worth your time for the amount you would be able to make per hour.